A week after playing poorly for three quarters, the Steelers against a lot of odds found a way to win a game they had no business winning against the Jaguars. Sunday in Denver, they played (for the most part) good enough to win, but gave one away, committing a number of careless turnovers, including an awful end zone pick at the end of the game, and with it comes a 24-17 loss to the Broncos. There was plenty of blame to go around in this setback, the first for the Steelers since losing at home to the Ravens at the end of September. With the loss, the team (for now), sits in the fourth spot in the AFC, sitting at 7-3-1 after 11 games, and with five games left including games against three very good foes – the Chargers, Patriots and Saints. Here’s a couple takeaways from this loss, one that might end up hurting this team in a ton of ways by the time it’s all said and done. 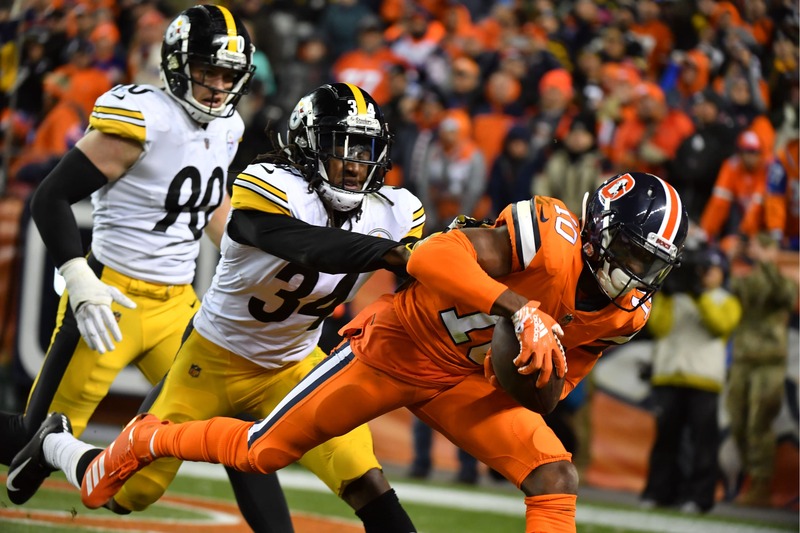 Be the first to comment on "Terrible Turnovers Lead to Mile High Letdown as Steelers Lose 24-17 to Denver; Three Takeaways"